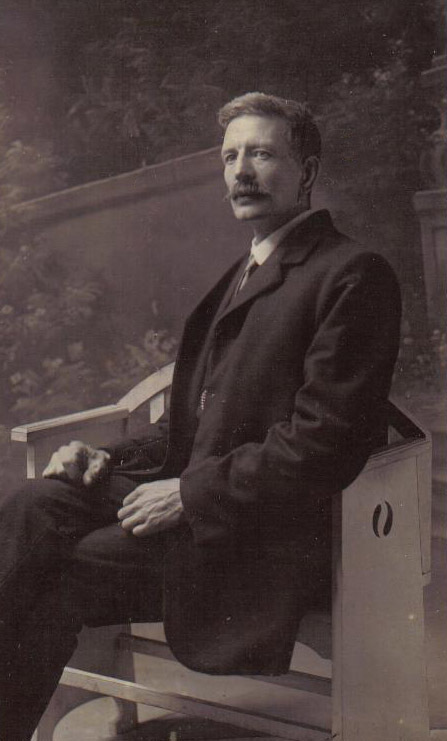 George was born in Willesden in 1895 the son of Israel Pearce and his wife Lavinia, née Pearce. 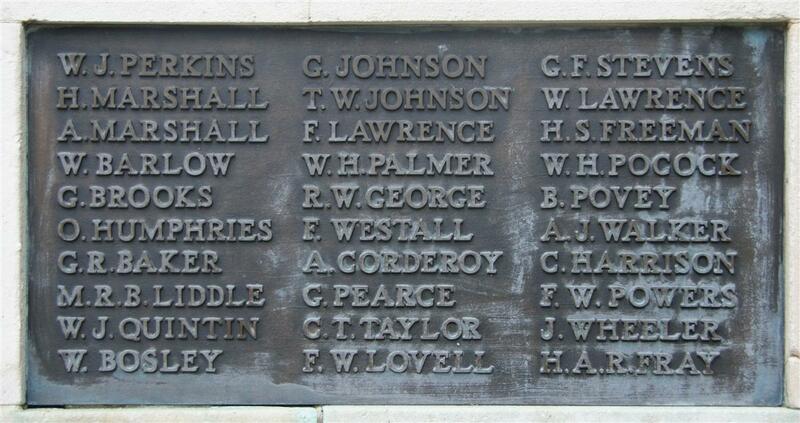 Although his name was registered as Reginald George is appears that he was known as George, which would explain his being listed on the Newbury war memorial as G Pearce and in the Commonwealth War Graves Commission’s ‘Debt of Honour’ roll as G R Pearce. His parents Israel and Lavinia were born in Newbury in 1868 and 1879 respectively. They were first cousins, both being grandchildren of William Pearce and Mary Prior. However they married in St John’s church in Hammersmith on 25 May 1890 and remained in West London for another 30 years before returning to Newbury. Following their marriage they lived in rooms at 35 Nasmyth Street, Hammersmith – the home of John Cross and his wife Lavinia née Pearce. Lavinia Cross was another cousin from Newbury. In 1911 they were living at 24 Berry Road, Church Road, Willesden. By this time George, aged 16, had left school and begun to earn a living as a fishmonger’s assistant. On 3 February 1914 he enlisted in the local Territorials – the Middlesex Regiment – where he was allocated the regimental service number 1219. Aged 18 years and 11 months he was 5ft 3in tall and his physical development was described as ‘fair’. When war was declared in August the Territorials were immediately mobilised and gathered for deployment to wherever there was a perceived need to defend the British Isles. The Territorials were specifically recruited to act as a home defence force, their terms of enlistment meant that the War Office could not deploy them overseas even if they wanted to. This was changed by the Military Service Act of 1916 but the need to find more men to serve in France and Belgium was recognised as soon as the war started. So, in September 1914, the men serving in the Territorials were asked to volunteer for overseas service – a great many, including George did so. To confirm this they signed an ‘Imperial Service Obligation’, which George did on 8 September 1914. On 28 October he was posted to the 2nd/9th Battalion Middlesex Regiment, and then, on 1 May 1915 to the 2nd/10th Battalion. This battalion was preparing for overseas service, but not on the Western Front; they sailed from Devonport in HMT Huntsgreen on 19 July bound for Suvla Bay on the Gallipoli Peninsula, Turkey. It is easy to envisage life at Gallipoli as one of relentless sun, bothersome flies and exotic diseases – but this was not what got to George. On 2 December he was admitted to the 1st Welsh Field Ambulance (a first aid station near the front line) suffering from frostbite! His condition was severe enough that he was shipped out to Malta on the hospital ship HS Soudan, where he was treated at St Paul’s Hospital. His battalion was one of the last to land at Gallipoli and saw little action before being evacuated less than two weeks after George was shipped out to Malta. After three months in Malta he was shipped to the Infantry Base Depôt in Alexandria, Egypt prior to rejoining his unit. However, he was only there three weeks before he was back in hospital, diagnosed with phimosis; a diagnosis that was later changed to gonorrhoea. After treatment he was sent back to the Depôt and rejoined his battalion in the Canal Zone two days later on 1 August 1916. The battalion form part of the 160th Brigade in the 53rd (Welsh Border) Division, a division that, despite its name, was by this date an English unit. Alongside the 2nd/10th Middlesex were the 2nd/4th Queen’s (Royal West Surrey), the 1st/4th Royal Sussex and the 2nd/4th Royal West Kent battalions. In the spring of 1917 they were part of the Egyptian Expeditionary Force commanded by General Murray that advanced across the Sinai towards Palestine. In late March they reached Gaza and fought an action aimed at capturing the town of Gaza, however, they were forced to withdraw when threatened by the approach of Ottoman reinforcements. Their failure was costly with most of the 4,000 casualties being suffered by the 53rd Division. The following month, better prepared, notably since a small number of tanks had arrived to support the attack, they tried again fighting the Second Battle of Gaza from 17 to 19 April 1917. However, once again the fighting ended in humiliating defeat with even heavier casualties – including, on the 19th, George Pearce. Following the battle a trench line was established south of Gaza and the campaign entered a period of stalemate. General Murray was recalled to London and was replaced by Allenby who led the EEF onward to Damascus the following year. George was buried, presumably in a cemetery to the south of the EEF lines. After the war his body was exhumed and reburied in the Gaza Military Cemetery, grave VII. E. 15. After the war his parents moved back to their home town and were lucky enough to be given one of the new council houses in St George’s Avenue, built in 1920 as ‘homes fit for heroes.’ With his parents back in Newbury George’s name was submitted for inclusion on the town’s war memorial where it can be found on tablet 5. His only brother, Frederick, was too young to serve during the Great War, but a number of his Pearce relatives did their bit. Israel and Lavinia’s cousin, Frederick Edward George Pearce and David Charles Pearce the son of another cousin, also named David Charles, are also on the Newbury memorial.